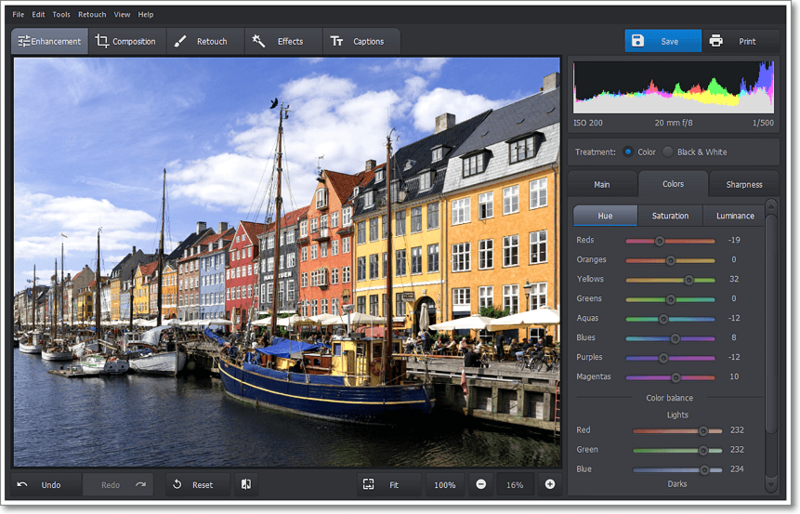 Download PhotoWorks 2019 setup installer 64 bit and 32 bit latest version free for windows 10, Windows 7 and Windows 8.1. PhotoWorks is a powerful and easy to use photo editor. Its intelligent tools let you fix photo defects and improve image quality. Correct exposure and perspective errors, erase unwanted objects, sharpen blurry shots, boost colors, apply cool effects. 2018-05-02 (10139). Malware Test (10139): 100% Safe Tested & Virus/Malware Free. With Picolino you can share your photos, images and videos with friends. Picolino allows you to show your photos and videos to anyone: Share it with friends, family members or publish it on the web. Discover ACDSee Pro Photo Manager, the workflow platform that's custom-designed for professional photographers. View, manage, edit and publish your photos with complete precision and control. PixPlant is a smart texturing tool that creates high quality seamless 3D textures from photos. PhotoWorks is a powerful and easy to use photo editor. Its intelligent tools let you fix photo defects and improve image quality. With PhotoWorks, you can save over- and underexposed photos, correct distortions and perspective errors, erase unwanted objects, sharpen blurry shots, increase clarity, boost the colors, apply awesome effects. Thanks to selective color correction, it is possible to work with any color on the photo without affecting the neighboring areas. This lets you change colors of objects by dragging a slider, with no need to select anything manually. You can adjust the hue, saturation and luminance of every color. A professional retouching toolkit allows you to make perfect studio-quality portraits. Convenient brushes help you get rid of blemishes, create an even skin tone, whiten teeth, change eye and hair color. Accentuate the face by blurring the background or adding a vignette. There is a series of crop presets that let you improve the photo composition in one click. To make cropping even more convenient, use grid overlays such as Rule of Thirds, Golden Ratio, Golden Spiral etc. For those who love one-click effects, PhotoWorks has something to offer too. The software comes with dozens of popular photo filters such as sepia, black & white, HDR, color splash, color toning etc. If you need to sign or watermark your picture, a selection of ready-to-use text styles is at your disposal. All the changes made with PhotoWorks are non-destructive – if you decide to come back to one of the previous editing stages, you won’t lose any of your work, and you will never damage the original. PhotoWorks for Windows 10, 7 and other prevoius windows versions. How to uninstall (remove) PhotoWorks Completely? Softati.com - does not store PhotoWorks patchs, serial numbers, activation, cracks, license key, keygen or any forbidden files that may cause harm to the original developer. Only free direct download for the original developer distributable setup files. PhotoWorks is developed and maintained by AMS Software, Softati.com is not affiliated with this software developers by any means. All trademarks, registered trademarks, product names and company names or logos mentioned herein are the property of their respective owners.